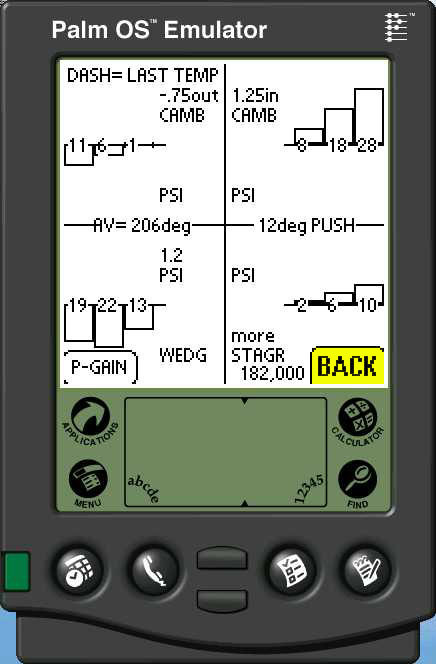 AdVisor Chassis Setup software (for some Palm PDA’s). For road or oval tracks. 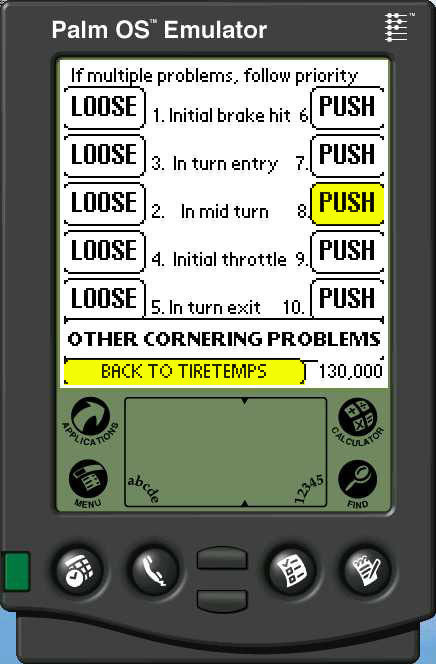 Decisions based on tire temperatures and driver comments. Click to see an active demo. 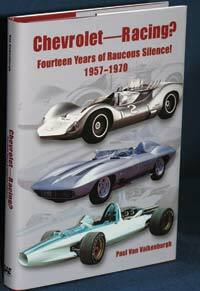 A primer and guide to all the other race engineering books. Click for Reviews, Contents, and Excerpts. 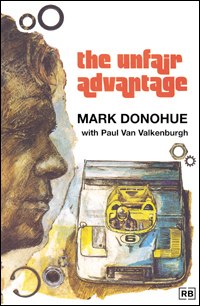 A uniquely educational race engineering biography. How he became a legend, and you might do it also. Hardcover, 6 X 9, 353 pages ……………………..........…$40 ppd. downforce, wings, automatics, data acquisition and more. Hardcover, 6 X 9, 320 pages …………….………............$45 ppd. 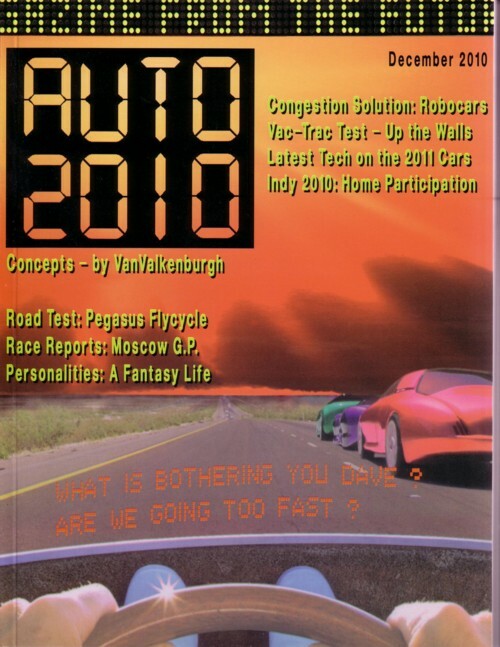 AUTO 2010 – The car magazine from the future. Racing innovations that haven’t been tried yet – and you might. And passenger car ideas that haven’t been seen yet. Click for Reviews, Contents, and Addenda. Softcover, 8½ X 11, 128 pages ………………..…..........$20 ppd. 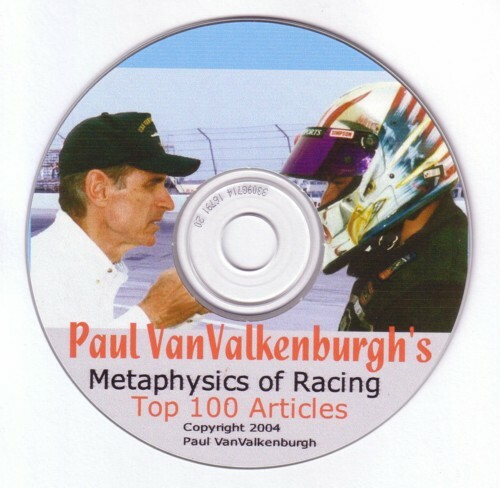 VanValkenburgh’s top 100 editorial columns – all on one CD. 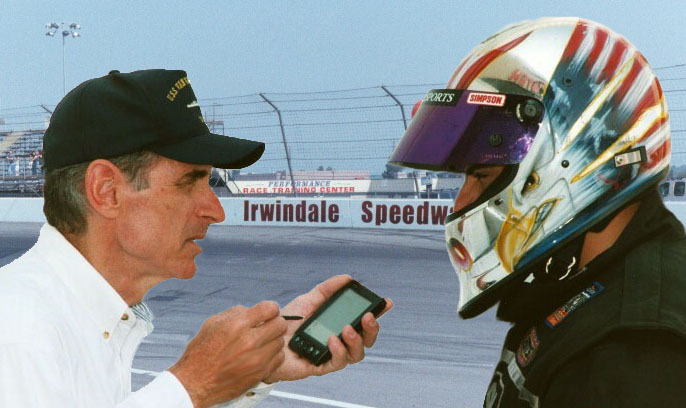 Incredible topics on the human element in racing technology. See partial index at right. See a Road & Track review, . 200 pages, keyword searchable, in PDF format. .…............$24 ppd. Google “Paul Van Valkenburgh” for over 2000 reviews and references on all the above. would be no technical rules, except for safety. before they actually did it in F1 and sprint cars. a spec-car series and a separate free-tech car series. Find treasures in the fabulous lost-power mine. Stagnation, and downforce measurement devices. without computerized fluid dynamics or a wind tunnel. without offending your friends in the media. Challenge and the skidpad challenge. Of individual power and control, and who has it. Racing expert and putting it all into a computer. The stigma and the practicality problems. 3/95 How to make a winning racecar – engineer. The raw materials, training, traits, experience. 4/95 Lessons from crashes and junkyard hulks. Studying the catastrophic collapse of structures. and lessons for racing as entertainment. 6/95 A race engineer designs a getaway car. And a movie script to use it in. Out of that semi-tractor in your parking lot. And NASCAR’s own inertial chassis dynos. What race car engineering can contribute. And a case of mistaken recognition. Speedway, racing films, and outrageous stunts. In spite of endless logical opposition. Extreme asymmetry and the need for info. Interdisciplinary degree in engineering. Master's degree in human behavior. Master's thesis on "A Systematic Analysis of the Behavioral and Social Sciences." Since 1970, published over a million words in over 350 technical and science articles in dozens of enthusiast and science periodicals plus publications such as SAE and Encyclopaedia Britannica, plus five technical books. and consulting to various magazines, vehicle importers, aftermarket suppliers, small vehicle manufacturers, racing teams, tire companies, the CHP, U.S. Department of Transportation, and the U.S. bike and bobsled teams. Current writing: Regular column in RACECAR ENGINEERING Magazine, plus occasional tech pieces for ROAD & TRACK, CORVETTE FEVER, GRASSROOTS RACING, and DRAG RACER. Currently semi-retired to do independent research and brainmapping in neurological disorders such as migraine and tinnitus, and developing an electronic self-help system called AdVisor, for PDA’s and iPods.